Click on the image to read an online version. I have to admit that at the start of this process I didn't clip every letter I saw. Some that I clipped got a bit crumpled in my file. Where possible, I will look for electronic versions of the letters. If you click the image, it will take you to that version if I have found one. Click on the image for the online version. The dates vary between print & online release. In Committed to Community, ConcernedCitizens Oak Bay, Oak Bay overdevelopment, Oak Bay United Church, Overdevelopment Tags Declining congregation, Oak Bay News, Inconsiderate OBUC, Oak Bay United Church overdevelopment, Oak Bay United Church development, Concern Citizens Network, Sham consultations, Oak Bay News. 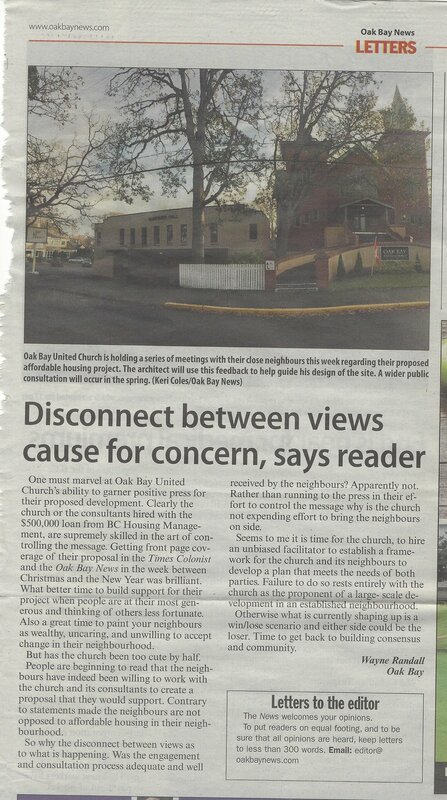 One must marvel at Oak Bay United Church’s ability to garner positive press for their proposed development. Clearly the church or the consultants hired with the $500,000 loan from BC Housing Management, are supremely skilled in the art of controlling the message. Getting front page coverage of their proposal in the Times Colonist and the Oak Bay News in the week between Christmas and the New Year was brilliant. What better time to build support for their project when people are at their most generous and thinking of others less fortunate. Also a great time to paint your neighbours as wealthy, uncaring, and unwilling to accept change in their neighbourhood. But has the church been too cute by half? People are beginning to read that the neighbours have indeed been willing to work with the church and its consultants to create a proposal that they would support. Contrary to statements made the neighbours are not opposed to affordable housing in their neighbourhood. 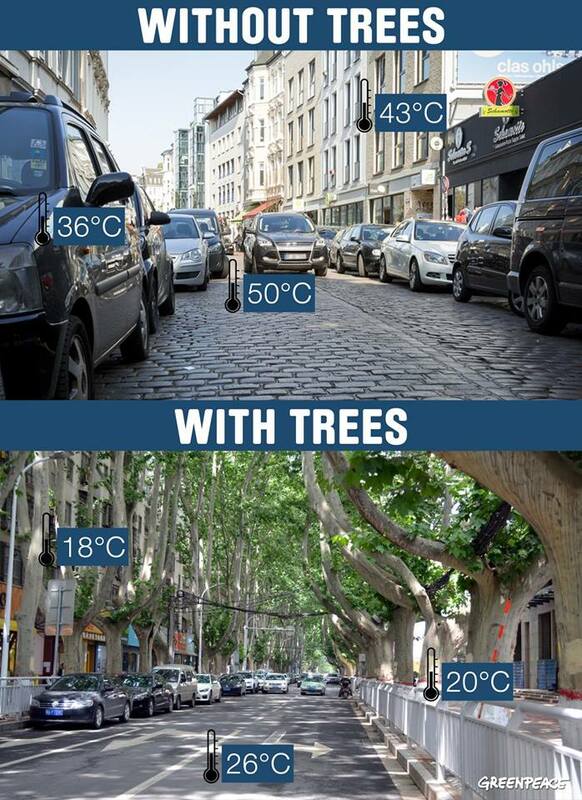 So why the disconnect between views as to what is happening. Was the engagement and consultation process adequate and well received by the neighbours? Apparently not. Rather than running to the press in their effort to control the message why is the church not expending effort to bring the neighbours on side. Seems to me it is time for the church, to hire an unbiased facilitator to establish a framework for the church and its neighbours to develop a plan that meets the needs of both parties. Failure to do so rests entirely with the church as the proponent of a large- scale development in an established neighbourhood. Otherwise what is currently shaping up is a win/lose scenario and either side could be the loser. Time to get back to building consensus and community.